Obviously, we all need food, and you now need to hear this collection of songs about food. Coinciding with the release of her new album, “Real”, host Scott Hudson talks to Lydia Loveless about songwriting, recording, and being the subject of a documentary movie. Two tracks per artist – one old and one new. It’s a simple concept, but fun! Today’s show is a companion to last Friday’s Live Ledge. That show consisted of my noisier new finds. Today we focus on the quieter new releases. It’s that time of the month again! More new releases and blog finds! Pat McIntyre and Martin Dill from Janitor Bob join Scott, followed by an hour of old Sioux Falls indie rock. Director Gorman Bechard returns to Live Ledge to discuss the DVD releases of Color Me Obsessed and What Did You Expect?, and to also talk about his next project, A Dog Named Gucci. It’s become a monthly feature for Hudson to showcase almost an entire show of new releases and blog finds. This is one of those episodes. A jam-packed show tonight, full of new tunes, blog finds, and discussions of the Hostess situation and the new Rolling Stones documentary, Crossfire Hurricane. Two days away from the U.S. elections, Hudson compiled some of his favorite politician-related tracks. Two days before the release of his excellent new album, In the Dusk of Everything, Matthew Ryan woke up early on a Sunday to talk about the new album and share some of his favorite bands and tunes. Scott has plenty of things to whine about today, but also some great recent releases. Ash from The Big Brother Gossip Show joins Scott tonight to discuss the merits of the new Green Day album, Uno. It’s a celebration of Labor Day, but we also mourn the of the end of summer on today’s Rural Ledge-ucation! Friday’s Live Ledge was all about the noisier releases I’ve acquired in recent weeks. Today’s Rural Ledge-ucation focuses on the quieter new stuff. In response to NBC’s idiotic decision to not air Ray Davies at the Olympic Closing Ceremonies, tonight’s show is nothing but tunes by The Kinks! Continuing with the Peel Sessions theme, tonight’s show includes not only great Brit acts but American bands who contributed to the series. Nothing but tunes from the late, great John Peel archive! 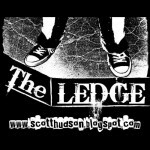 Live Ledge #73: I’m Back! After another short break due to remodeling, Hudson is back with almost all new releases! Last week’s ’77 theme went so well it just had to be repeated! We celebrate the anniversaries of 3 of R&R’s greatest albums, along with a discussion of Mick Jagger’s appearance on last night’s SNL. Jed’s Dead leader Edward Romero joins the show to talk about not only his band but his work in the film industry. The goal was simple – to make it through an entire show without whining. Did I succeed? Author/director Gorman Bechard appears to talk about his upcoming Grant Hart documentary, along with updates on Color Me Obsessed and his Archers of Loaf concert movie. Today’s show celebrates the musical life of the late, great Levon Helm. Much happened in the music world this week, and Hudson covers them all tonight! Rural Ledge-ucation #51: Easter! Mitch Easter, That Is! If you own any jangle-pop albums from the 80′s, chances are you own a Mitch Easter production. We celebrate Easter with a fine collection of his projects. Scott once again goes back a half-life for songs from a decadent year. Minneapolis roots-rockers High On Stress are interviewed and they also picked this week’s tunes! New and upcoming Americana-related releases are the basis for this warm weather Sunday morning show! Besides a setlist of primarily new finds, there’s also a discussion of the Kickstarter fund for a documentary on Grant Hart. The perfect soundtrack to your St. Patrick’s Day festivities! 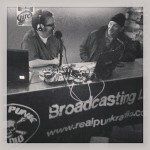 Michael Gibbons, aka AngryHugo, schools Mr. Hudson on Philly punk and indie rock. Along with an update on Slim Dunlap, today’s show features primarily new and recent releases. A busy show – besides a tribute to former MC5 bassist Michael Davis there’s lots of time devoted to wishing former Replacements guitarist Slim Dunlap a speedy recovery. What started out as a collection of punk-era singer/songwriters turned into something completely different. Inspired by Drazzle’s Coffee Time episode of Stones covers, today’s episode features Keith Richards collaborations and obscurities.